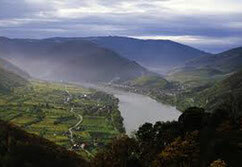 As one of the oldest cultural landscapes in Austria, the Danube valley was declared as a protected zone as early as in 1955. In December it was elevated to the status of a UNESCO-World Heritage site. 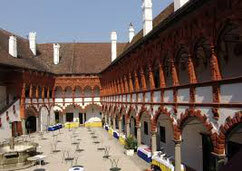 The beginning of our tour, after leaving Vienna early morning, will be a visit to Dürnstein. 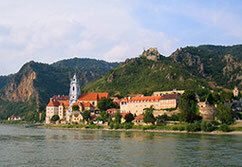 Situated in the heart of the magnificent Wachau Valley, on the banks of the mighty River Danube, the charming town of Dürnstein offers the unique combination of a breathtaking scenery, traditional architecture, and places of historic interest. It was in the Kuenringer Castle, whose ruins still overlook Dürnstein, that the English King Richard Lionheart was held prisoner. After a guided walk uphill to see the ruins, you will maybe feel strong enough to taste your first vine. 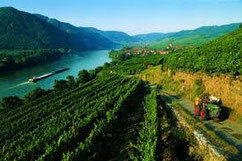 Since many centuries vine has been cultivated in the Wachau. The special climate, the ground and the careful work of the wine-growers let the grapes bekome excellent wines. From there we will drive upstream towards Spitz. The scenery is breathtaking and we will have many stops for photoshooting on our way. Once in Spitz you will change from car to boat. Hungry? Thirsty? Delicous food is offered and you can taste, during the boat ride through the world heritage, fine wines of the region, served with a written explanation. Finally you will reach Melk, where I will pick you up from the dock. Beside the cosy little town I will bring you up to world famous Melk abbey. We will have a look to the gardens and to the abbey church. there is no guided tour planned. From Melk it is a 10 minutes drive to Loosdorf, where the most precious Austrian Renaissance castle will be our next highlight!. 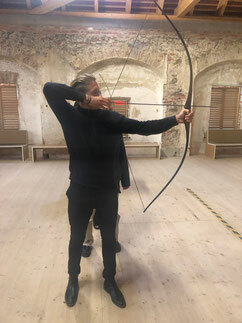 After visiting the castle you can add medieval Archery! BOW & ARROW shooting! Believe me - you will be more than just impressed. Afterwards we will have a drink together and I will take you back to Vienna and drop you off at your hotel.